This program is a blend of 2 days classroom and 2 days (full day) live online training by the instructor which would covers the five process group areas across all the nine knowledge areas in sync with latest edition of (PMBOK®) ie (PMBOK®) 4 Guide viz., Initiating, Planning, Executing, Controlling, Closing. 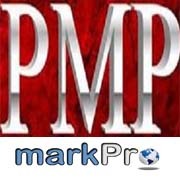 Knowledge learned in this program can lead to Project Management Professional (PMP®) certification from the Project Management Institute. We provide PMI Accredited 35 Contact hours after completion of this training. 1200+ Question provided for extensive practice. 5 Mock test are provided. 1 Mock test free for one hour.